The organisers are pleased to announce a Call for Papers to be published in the special issue of The Journal of Object Technology (http://www.jot.fm/) on the subject of New Object-Oriented Languages (NOOL) 2015 workshop. 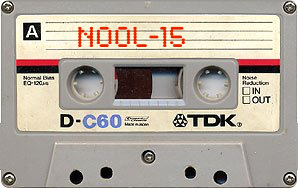 We invite the current authors of NOOL 2015 papers and any other interested parties especially those who attended but didn’t present at our workshop to submit papers on the topic of New Object-Oriented Languages (as per the NOOL 2015 CfP: https://2015.splashcon.org/track/nool2015#Call-for-Papers). Guidelines about author instructions and about JOT special sections can be found at http://www.jot.fm/authors.html. Please read and follow these instructions carefully. Your extended paper will be subject to a full review process with reviewers being a superset of the NOOL 2015 PC. Accepted papers should be of “journal quality” – that is, they should describe mature and complete results, rather than work in progress. The papers should aim to be up to 25 pages in length. Please submit your PDF by the 1st of May 2016 with a notification date of the 1st of July 2016. We hope to finalise the revised papers for this special issue by the 31st of August 2016. Please email any questions to the NOOL 2015 chair: Alex Potanin (alex@ecs.vuw.ac.nz). Finally, please note that we also hope to organise NOOL 2016 edition at SPLASH 2016! Any queries about NOOL 2016 should be sent to Roly Perera (roly.perera@glasgow.ac.uk).